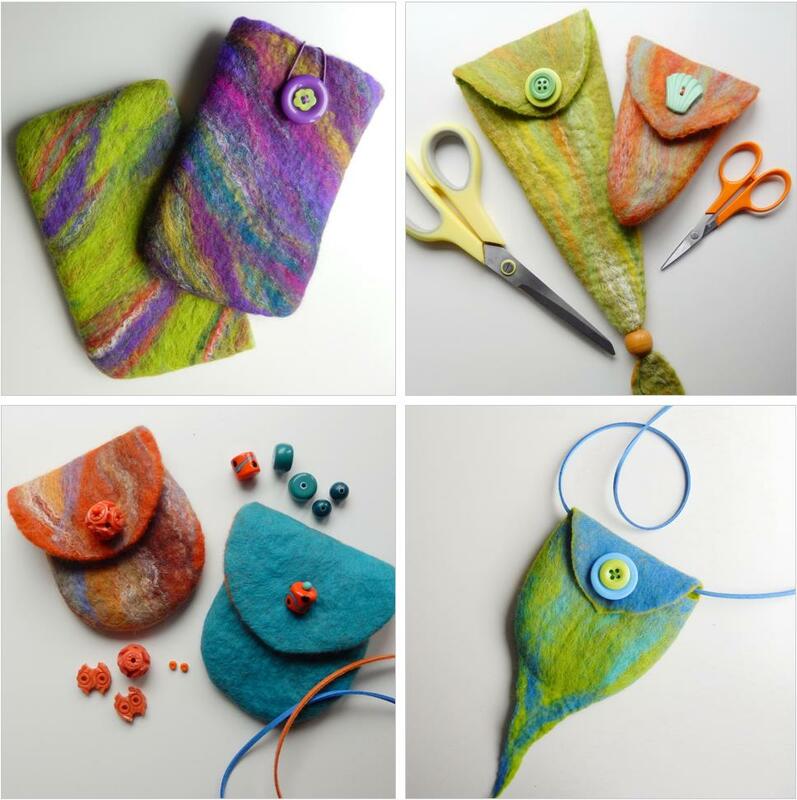 Over the years I’ve held many 3-D FELT workshops explaining the techniques of using resists to create all manner of seamless items—bags, bowls, hats, slippers. energy levels and size of the table top! Using exactly the same techniques the only difference is the scale. A bird shaped purse with a wing flap…. As with all feltmaking everyday kitchen tools are very useful for shaping. perfect for this purpose. They also come in handy to support the felt while it’s drying. The recent 3-D Small Projects workshop held last week was the first of it’s kind and still experimental, but all my students enjoyed the day and each went away with 2-3 projects plus all the reusable template shapes to continue at home. Now, after completing my samples I have the great pleasure of raiding my stash of threads, beads and buttons and decorating them all. I’ve also discovered an amazing range of decorative clasps available on-line that give a professional finishing touch to the little purses. And you can click on any of the photos to enlarge them.